QUITO, Ecuador, October 17, 2012 (ENS) – An Ecuadorian court has frozen are all bank accounts owned by Chevron, Texaco, and their subsidiaries in partial payment of a $19 billion pollution damages judgment against Chevron. Indigenous people and villagers living in the Ecuadorian Amazon were granted a court order this week that allows them to collect $200 million of Chevron’s assets in the country. “This is a huge first step for the rainforest villagers on the road to collecting the entire $19 billion judgment,” said Pablo Fajardo, the lead lawyer for the plaintiffs. Fajardo said the assets would be used to begin a cleanup of the ecological disaster left by Texaco, consistent with the mandates laid out by the Ecuador trial court. The court order was signed by Judge Wilfrido Erazo in the Sucumbios Provincial Court. Among the assets the court ordered be handed to the plaintiffs are a $96.3 million debt Ecuador’s government owes Chevron, monies in various bank accounts held in Ecuador by Chevron and its subsidiaries, and licensing fees generated by the use of Chevron trademarks in the country. 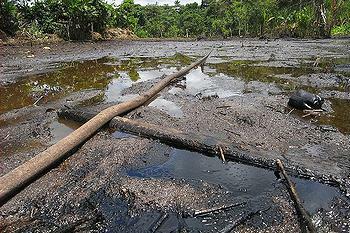 Chevron has tried to remove all of its assets from Ecuador to avoid just such a seizure. The $19 billion judgment, issued in early 2011 after an eight-year trial in the oil industry town of Lago Agrio, found that the U.S. oil company Texaco, since purchased by Chevron, deliberately dumped more than 16 billion gallons of oily toxic waste into the Amazon from 1964 through 1992. Texaco’s use of substandard operational practices in Ecuador decimated indigenous groups and caused cancer that has already killed or threatens to kill thousands of people, the court found. 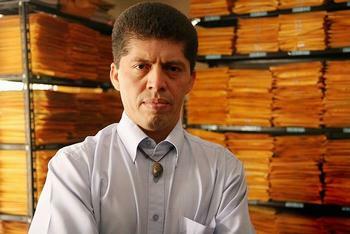 A three-judge appellate panel in Ecuador affirmed the decision. When Chevron refused to pay the judgment, lawyers for the 30,000 plaintiffs this summer hired law firms to file seizure actions targeting billions of dollars of Chevron’s assets in Canada and Brazil. In a statement issued in Quito Wednesday, the villagers reiterated their goal of collecting the entire $19 billion by seizing Chevron’s assets in other countries. Chevron trademarks affected by the court order include Texaco, Ursa, Havoline, Doro, Geotex, Meropa, Motex, Multigear, Regal, Toro, Texathern, Thuban, and others. All are used in Ecuador under licensing arrangements with local distributors, said Fajardo. The $96 million debt stems from an international arbitration award in favor of Chevron related to numerous commercial disputes between the oil giant and Ecuador’s state-owned oil company, Petroecuador. Those funds will have to be transferred by the government to the rainforest villagers as part of the collection effort, Fajardo said. Chevron has the right to oppose the order, which was issued ex parte to prevent Chevron from selling or removing its assets before they could be frozen. If Chevron opposes the order, the trial judge has to either modify or ratify his original ruling. That job is considered largely ministerial given that the judgment from the long-running lawsuit has been affirmed on appeal and Chevron refused to post a security bond preventing enforcement of the judgment, said Fajardo. Separately, the Ecuadorian villagers in May and June filed seizure actions in Canada and Brazil targeting billions of dollars worth of Chevron assets, including refineries, offshore oil platforms, and oil production facilities. The Canadian court, located in Ontario, has scheduled an initial hearing for late November. On October 9, the U.S. Supreme Court denied Chevron’s attempt to block enforcement of the $19 billion judgment. In June, Chevron shareholders with an estimated $580 billion in assets under management urged the company to settle the case. In addition, U.S. Congresswoman Jan Schakowsky of Illinois and other large shareholders have asked the U.S. Securities and Exchange Commission to determine whether Chevron CEO John Watson and General Counsel R. Hewitt Pate are lying about the Ecuador case to investors. The affected indigenous people and villages first filed their legal complaint against Texaco nearly two decades ago in the United States. After acquiring Texaco in 2001, Chevron had the case relocated to Ecuador as the appropriate jurisdiction for the case. As part of this process, Chevron committed to abide by the decision of the Ecuadorian court system. In February 2011, the Ecuadorian Provincial Court in Lago Agrio found Chevron liable for over $18 billion in compensatory and punitive damages for deliberately polluting vast areas of the Amazonian rainforest from oil drilling and its waste products. The judgment was upheld by the Ecuadorian Appeals Court in January 2012. This judgment is comparable in size only to BP’s commitment to a $20 billion compensation fund for those affected by its 2010 Gulf of Mexico oil spill.